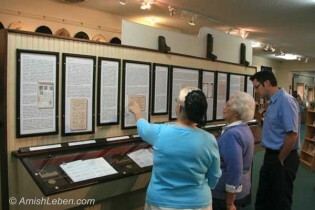 Over the last year, I have been following the progress of ‘The Ausbund Anabaptist Hymnal Display’ as Leroy Beachy, the owner of the many collectible Ausbunds, has been designing and building the display. Recently, upon its completion, the entire display was transported to the Amish/Mennonite Heritage Center, about a mile from Leroy’s shop. This is a magnificent addition to the Center and I’m excited that it will be available for viewing by the public. I’m also pleased that, Rachel Mast, currently employed at Christian Aid Ministries in Berlin, Ohio was able to meet with Leroy and put together the details of ‘The Story of the Ausbund’. I’m certain you will find this article quite interesting. I just came from the Amish & Mennonite Heritage Center where I was perusing its latest display, a collection of 31 editions of the Ausbund, a hymnbook that the Anabaptists have used continually since the 1500s. Many of the books in this rare collection made their way across the Atlantic Ocean with Amish and Swiss Brethren families who emigrated to America during the eighteenth and nineteenth centuries. The families were fleeing religious persecution in Switzerland and Germany. I was especially interested to find that two of the copies are believed to have been carried over by my ancestors, Jacob Raber and Michael Yoder. 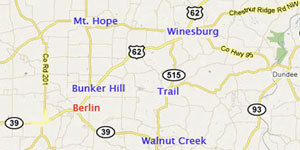 The Jacob Raber family migrated from Bavaria to Holmes County, Ohio, in 1837 and Michael Yoder came to America in 1825. An inscription on the flyleaf of Michael’s book dates 1791 with flyleaf inscriptions by Michael’s father Samuel, who was an Amish bishop in Germany, Michael himself, his son Daniel, and Daniel’s adopted daughter Sarah. The collection of Ausbunds had its beginnings in 1962 when 33-year-old Amish man, Leroy Beachy, was looking for a keepsake at his recently-deceased grandpa’s estate sale. “The keepsake could just as well have been a hammer or a pocket knife,” Leroy told me when I visited his home outside Berlin earlier this week. But Leroy ended up with a 1767 edition of the Ausbund. At that time Leroy had no interest in history or collecting books. “I was 32 years old before I recall having ever heard the word ‘Anabaptist’ or that the Amish come from Switzerland,” he told me. That’s why it wasn’t hard for Leroy to give up his copy of the Ausbund two weeks later when a German professor from the Wooster College stopped by and offered Leroy two, newer good copies of the Ausbund in exchange for his older one. It was an edition the professor was missing from his collection of Ausbunds and other German language books. “Two-for-one seemed like a good deal to me,” Leroy said. Later that year, when Leroy attended classes to learn how to read German handwriting, he remembered the inscription on the flyleaf of his grandpa’s Ausbund. The next time he visited Wooster, he stopped by the German professor’s house and asked to see the book. Flipping to the front, he read, “Dieses Lieder Buch gehört mir Christen Joder zu” (this song book belongs to me Christen Yoder). 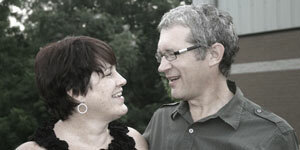 “Now I was interested,” Leroy said. Christen Yoder was Leroy’s great grandfather five times removed who had immigrated to America in 1742. Although it took some persuading over the course of the next year, Leroy was able to eventually buy back the book, along with the professor’s 20 other editions of the Ausbund. After that Leroy kept collecting Ausbund editions from estate sales and book auctions. There are still six editions missing in the collection of books that date from 1564 to 1935. 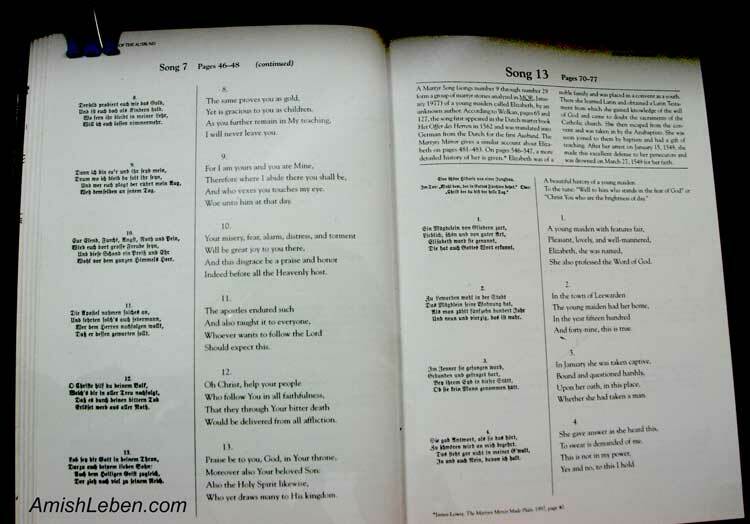 The Ausbund Anabaptist Hymnal with English translations. Knowing they might die, these writers wanted nothing more than to encourage their children and loved ones to stay faithful to the teachings of Jesus and the apostles. “The songs are not just something that rhymes,” Leroy said. “When you sing them, you know what these writers believed.” Some of the Ausbund songs have secret messages in acrostic form. The songs may have been smuggled out or memorized by prisoners who were later released, Leroy said. 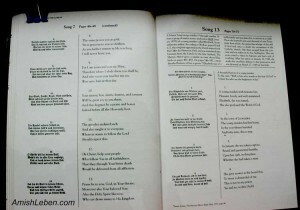 After the songs were compiled into the Ausbund, the hymnbook became a forbidden book. Evidence of this can be seen on the title pages of the hymnals printed between 1538 and 1742. There is no publisher name and no place and date of publication. By 1742 and thereafter, the date of publication and the printers’ names again appear on the title pages. It was a sign of a newfound freedom of religion for the Anabaptists in America. Today the Amish always start their worship services by singing three hymns from the Ausbund. The second song is always the beloved Loblied, which takes fourteen to thirty minutes to sing in the traditional “slow tune.” On any given Sunday morning, this sacred prayer hymn is being sung at about 1,100 locations at the same time, Leroy informed me. 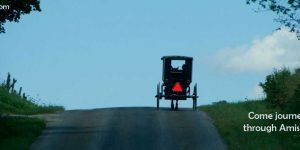 There are 2,200 Amish congregations in the Eastern United States. Each congregation holds a church service every other Sunday, and all start their service at about the same time. The songbook does not have any musical notes. “When you sit on your mother’s lap and hear the tunes every other Sunday in church, the songs are in your memory by the time you are 11 or 12 years old,” Leroy said. The tunes were borrowed from other religious songs of the time, medieval folk songs, and Gregorian chants. 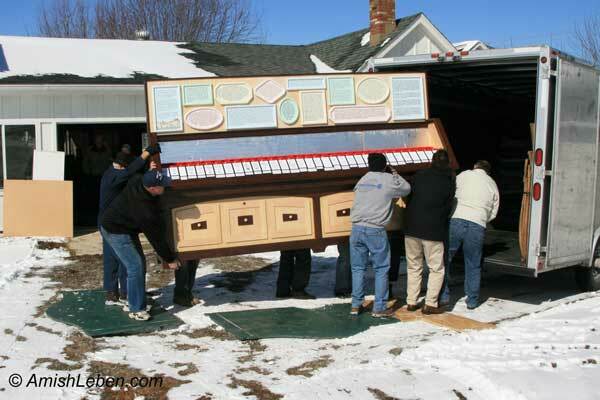 Leroy acknowledged that the tunes are difficult for people not of Amish background to learn. Although they know the tunes well, many Amish do not understand the words of the songs, which are written in an archaic German dialect. To help remedy this problem, an eight-member committee spent 12 years translating the hymns into English. The translations were compiled into a two-volume book, Songs of the Ausbund, which were published in 1998 and 2011. Although the Amish still sing the songs in German, these books are available to help those who have retained the use of the Ausbund to better understand their meanings.